Could we be like “Lost Son #1“? When we’re in the pits, have hit rock bottom (“hungry” like the man in the Lost Son parable) is that when we pray and ask God to rescue us? Or when we lose a loved one we talk about things like heaven and seeing them someday… and they’re smiling down upon us, because we’re comforted by that. We’ll talk about God at certain times in our lives, but it’s always under our terms and for our benefit, and it never has anything to do with how God alternately would have us live our life. Or… like “Lost Son #2“? MEN… do you have trouble asking for directions? Ya know, it’s one thing to get lost… right? …we’ve all gotten lost, but it’s another thing when we take control and then get lost... when we sort of speak out with this voice of confidence that we somehow know where we’re going and then end up getting lost. And that’s essentially what happens in our passage this morning. “Amanda and I, just last week decided that we were going to attend an event over at the Dayton Basketball arena… we thought we would make it a sort of a date night, if you will. We were going to hire a babysitter and go out to dinner and go attend this event. And so the babysitter showed up and Amanda and I got in the car and she asked me, she said. “Do you know how to get to the basketball arena”. And so we start driving and of course she gives me that look like. “We’ve been through this before… you know, “we’ve done this before”. And so we start driving and I finally I’m driving along we take 35 West and I and pretty sure I get off at the right exit. And I turn left and I’m driving and and all of sudden… ya know I’m starting to get a little bit nervous that,you know, this is maybe one those times where where I’ve decided that I knew where I was going and then sort of fell short a little bit. So you can imagine my delight when I’m when I’m driving and I see the sign. University of Dayton and I thought to myself… “All right I got us here.” You know. So I pulled on the campus and she said “Well where is it?” I said “Well honey, it’s a huge basketball arena. I’m sure we’ll be able to find it somewhere. And of course you know, I was going to have none of that. So I said “we don’t need to ask… I see a bunch of cars all over in this direction, will be fine; let’s just drive over that way.” “OK,” she says, “all right”. So we drive and we keep driving some more and she finally says, “Let’s ask this student”. I’m like, “Oh.. .we’ll be fine”. This happens three or four times, and finally we’re getting to the point where the event is about to start. And I have driven every square inch of Dayton campus and have not seen anything that looked like a big basketball arena of some kind. And I decide I’ll give in to her request to ask someone for directions. But I’m not going to ask for directions so I pull up to someone where she could ask for directions. 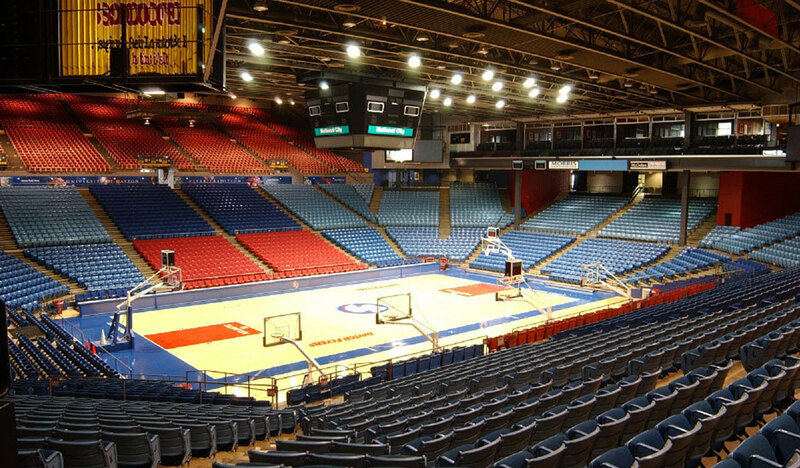 And she says “Can you help us, do you know do you know where the Dayton Basketball Arena is?” And she said, “Oh, yeah, I mean you’re not anywhere close; it’s not on the campus here… you’ve got to go back out to the main road…” (to congregation) …and how many of you have been there before?.. You gotta cross the river and then you find the Dayton Arena. And so we go there and of course the whole time we’re driving from the campus over there, I’m just I’m just… I’m waiting for my wife to say something. You know like, “I told you so”, kind of a thing. And for the first couple of minutes she didn’t at all and I thought “OK we’re going to have a pleasant evening.” And then it got the better of her and she decided to tell me. “So you knew where we were going right?”. And of course that has happened in our marriage multiple times. Has that ever happened to you… I mean have you ever decided to sort of take control, but then got lost. Every guy in the room probably should be nodding at least in some way at all. You know it’s one thing to get lost… right? …we’ve all gotten lost, but it’s another thing when we take control and then get lost... when we sort of speak out with this voice of confidence that we somehow know where we’re going and then end up getting lost. 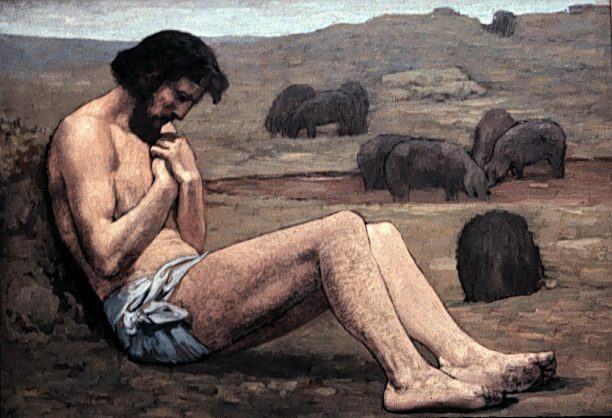 We’re going to be talking about and looking at again, Luke Chapter 15. Here at Kirkmont we’re going through the six week series called The Prodigal God. 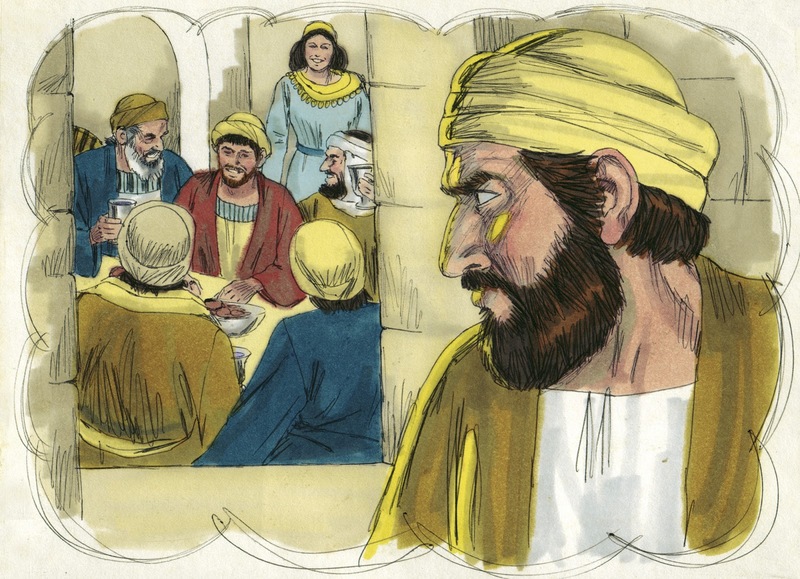 And we’re looking at Jesus’ most famous parable in which he tells us a story about two sons of this particular father. And we’re to see in our passage this morning, two sons who both take control and get lost. Now they take control in different ways. But they both decide to take control, but ultimately end up getting lost. And what we’re talking about here though is not control in the vehicle and getting lost with the directions… but we’re talking about two different people, two different ways that we take control of our own lives. but ultimately end up getting lost in our relationship with God, and lost in our way. Will you turn with me to Luke Chapter fifteen. We’re going to look at Lost Son #1. As we pull up our outline you can see on the screen, this first son, this Lost Son #1, he essentially gets lost by taking control without God. He decides I’m going to take my life into my own hands and have nothing to do with God and then, the Lost Son #2, he comes along and he essentially decides he’s going to take control FOR God. But he ends up getting lost as well. So we can become “lost”, taking control without God and taking control for God. Let’s look at this first son in verses eleven through twenty. This is what the Scripture teaches us. Last week if you’re here with us the Kirkmont we looked at the first several verses in Luke Chapter fifteen. And we reminded ourselves that Jesus is talking to a group of people known as tax collectors and sinners, and their group of really religious people known as Pharisees. And he’s told them not one, not two, but three parables that basically speak a very similar tone to them. So this is the first son. This is the first son who comes along and he decides to take control of his life, but he’s going to take control of his life, by doing it without God. These are people in the world, not only in this parable but in the world today who decide to take their life into their own hands; they become convinced that they will be not only ‘just fine’, but actually better off without God in their lives and these types of people they come from various backgrounds. Some of these type of people grew up in the church. And had parents who tried to raise them and bring them up towards the truth of the Bible and into a relationship with Jesus Christ. But at some point in time, these people decided, “You know what… that’s not what’s best for me, in fact I could be a lot happier… I could have a lot more joy, I could have a lot more fulfilling life, if I just left all of that behind and lived according to my own ways”. There are other backgrounds that these type of people come from… some of them, never were exposed to the church in any way at all. Some of these people who are like Lost Son #1, had parents who modeled Lost Son #1 behavior for them… they were never taught to live their life according the Bible… they were never taught biblical truth. They lived their whole life apart from God and apart from his laws. These people are convinced that God’s laws are not in their best interest. And that’s how this person has lived pretty much, their whole life… like Lost Son #1, convinced that their lives would be better off apart from God’s rules, and apart from God’s laws. This is Jesus speaking; originally he is speaking to us about Satan. And what he’s saying is that Satan’s goal and desire is to convince the world of a set of rules and laws and a way of life, that is supposedly acceptable and appropriate, that will ultimately kill and destroy and rob them of their life, of any joy, of any fulfillment, of any real meaning in their life. That’s what Jesus says Satan’s goal is… to deal with how we behave in this world. But ironically. There are many people out there who take this very same concept — the idea of stealing and killing and destroying, and apply it not to Satan, but to Jesus… to the church… to the Bible… to Christianity, and to God. And Jesus comes along and says, “No, that’s not what I’m about, that’s what Satan’s about. I have come that you might have life and have it to the fullest”. Friends I’m convinced that the key to avoid being Lost Son #1 is this… that we become convinced, that God knows what’s best for us, and wants what’s best for us. 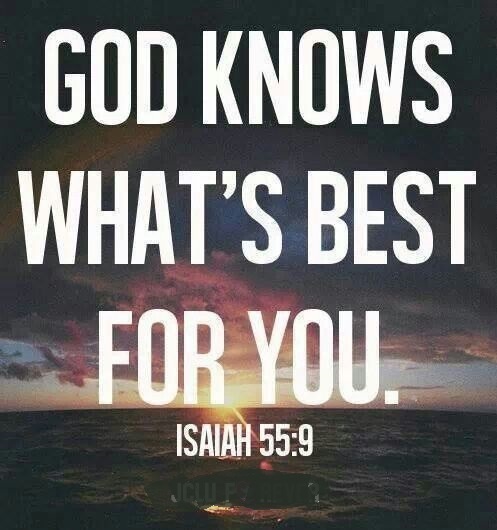 That we become convinced in our life that God not only knows what’s best for us, but he also wants what’s best for us. I mean, I want you to just think about the beauty of those two things coming together… that there is a God out there who always knows what’s best for you. And also always wants best for you. I think there are people out there who might be convinced that God… if there is a God, he’s all knowing and he knows what’s best for them, but they’re not convinced the God actually wants what’s best for them. And there might be people out there who are the other way around… maybe there’s a God that wants what’s best for them but he doesn’t know what’s best for them. But I think the key to not being Lost Son #1 is to become convinced that God not only knows what’s best for us. But also wants what’s best for us. When we compare that to other people in our lives and listening to them and obeying their rules and their laws… everyone else falls short. There are people in your life who want what’s best for you. But who won’t always know what’s best for you. And there are people in your life who know what’s best for you but quite frankly won’t always want what’s best for you. That’s true of anyone around you… your spouse, your children, your parents… there’s none other who will always know and want what’s best for you… even yourself. We might presume that you always want what’s best for you but we can’t be convinced that you always know what’s best for you. That’s Lost Son #1… he’s following his own behavior, his own pattern, or the pattern of someone else’s rules and laws and their life. But to avoid being Lost Son #1 we must become convinced that God not only always knows what’s best for us, but also wants what’s best for us as well. If that’s the case then, why would we ever, in any way at all, live our lives to any similarity of Lost Son #1? Why would we ever say to the Father, “Give me your stuff. I’m outta here. I’m going to go do life on my own”. Why would we ever do anything that we know is not in accordance with how God would have us live our life, if we were convinced that he always knows and wants what’s best for us? When I sin… not just unintentionally, but intentionally. And I do that sometimes. And so do all of you. When I do that, it’s because Satan momentarily convinces me that I could be happier and more fulfilled, more satisfied… whatever it might be, if I would just take my life into my own hands… thinking that ‘God must be trying to rob me from some of the happiness that I so long for and desire”. Four young students lined up for a portrait. When I was in youth ministry. This was an absolutely vital lesson to teach teenagers today… to convince them that God not only knows what’s best for them but wants what’s best for them as well. Because quite frankly, teenagers have no real interest in signing up for another long list of rules. They have a long list of rules from their parents; they have a long list of rules from their teachers; they have a long list of rules from their coaches and other instructors. And the last thing they want to do is sign up for another long list of do’s and don’ts from the Bible and the Church and God and from Christianity. Why would they want that… why would they want anything to do with that. It’s no wonder so many of our teenagers when they get off to college and they have the freedom from their parents, and freedom from teachers, and professors, and all those types of things, they have a new-found freedom… they just go do whatever it is they want. And so before kids leave the home it becomes absolutely vital to convince them that God not only knows what’s best for them, but wants what’s best for them as well. 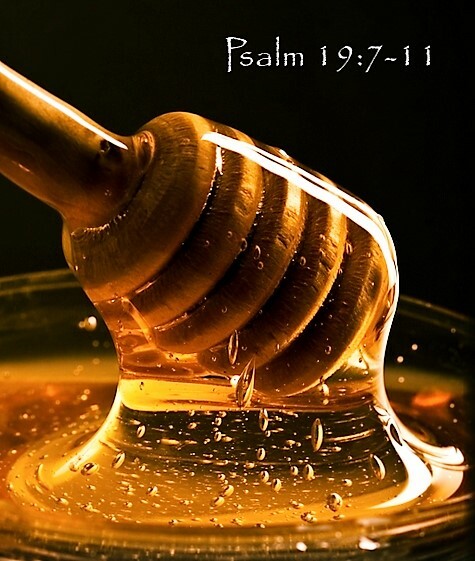 In Psalm 19:7-11… this is a Scripture we read at the beginning of our service together this morning. It’s speaks. It’s a beautiful song that speaks about the wonders of God’s laws and statutes. I just want to ask you… is this the way you view God’s laws in your life? 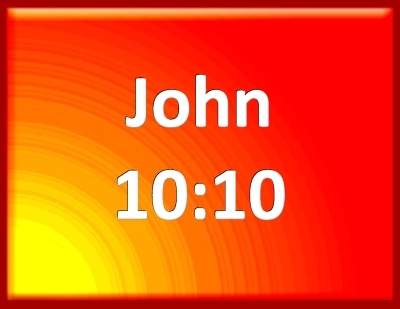 Here’s what the Scripture says in verse seven through eleven. The truth of the Scripture speaks into God’s laws. I think this is a wonderful verse for people out there this morning who might be feeling like Lost Son #1. If you’re prone to temptation; if you’re prone to straying from God; if you’re struggling with sin in your life… this would be a great verse to have in your heart… to become convinced. “Wait a second … no… it’s God’s laws if I live by Him… they are not they’re not designed to squelch my freedom and my fun and my joy. They’re designed to do the exact opposite. It’s the thief who does those things. Friends, I don’t want to make you think that all Lost Sons #1 here are completely void of God… many of them talk about God at many points in their lives. Think about the son in this passage; he wants, as Tim Keller says, all the things that the Father has to offer him, but nothing to do really with the Father’s laws and instructions. 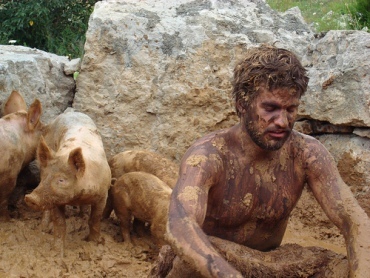 When they’re there… in the pits.. hungry like the man in this parable who have hit rock bottom, they’ll pray and ask God to rescue them. Or when they lose a loved one they’ll talk about things like heaven and seeing them someday… and they’re smiling down upon them, because they’re comforted by that. They’ll talk about God at certain times in their life, but it’s always under their terms and for their benefit, and it never has anything to do with how God alternately would have them live their life… like Lost Son #1. And then he comes to a senses… he hits rock bottom. And I bet, if we had the opportunity, that we could discover that that’s how many of you came to a relationship with Jesus Christ and God. Many of you didn’t quite give your life over to God until you hit rock bottom. I’ve had friends who have given their life to Jesus Christ in the back of a police cruiser. And some of you, you didn’t give your life over to God until your realized that an addiction in your life was destroying you personally. Some of you didn’t give your life over to God until you realized that there’s no way you could have a successful marriage… or manage your finances… or become the person you wanted to be apart from the power of God in your life… you hit rock bottom like this person does. But I want to speak to you this morning that if you haven’t hit rock bottom, and yet you’re identifying yourself as Lost Son #1 … we don’t have to wait until we hit rock bottom, before we give our life back over to God. We don’t the wait until it gets that bad. I remember when I was talking with the the search committee here at Kirkmont, they were interviewing me about a year ago… right here in the “Cry Room” we sat together and we had this conversation … and they were discussing the downward trend of Kirkmont, and the attendance, and we discussed some of those details. And and I told them I said “Look I’m at a church right now that declined in attendance for over twenty years down to the point where they had sixty people left in the whole church. They could barely pay their interim pastor, their building was absolutely falling apart. And they had hit rock bottom as a church, and decided we need to do things differently here. I looked at the search committee though and I said. “But you don’t have to wait until it gets that bad. I might be the person you’d be interested in if you seek and want change NOW before it gets to that point. 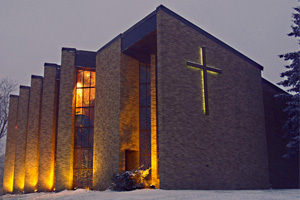 You have a nice building.. wonderful mature Christians… good resources here. 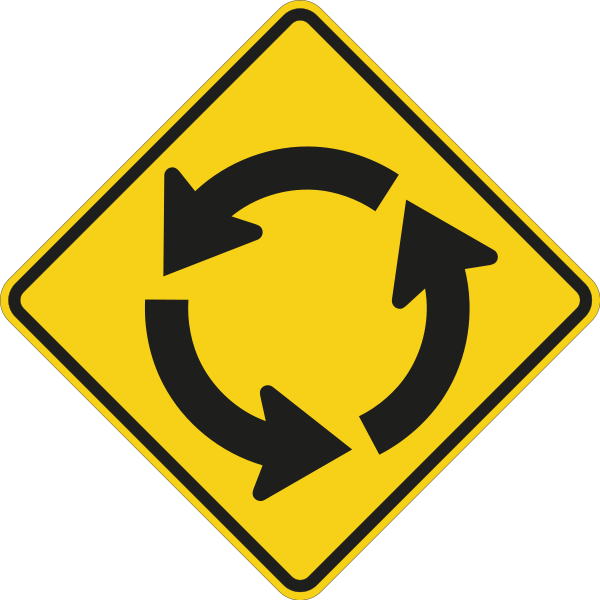 We don’t have to wait until it gets to that point before we get a sense of urgency to change and move in the different direction. And I think that was encouraging to the search committee. And in a similar way that’s true of our lives. 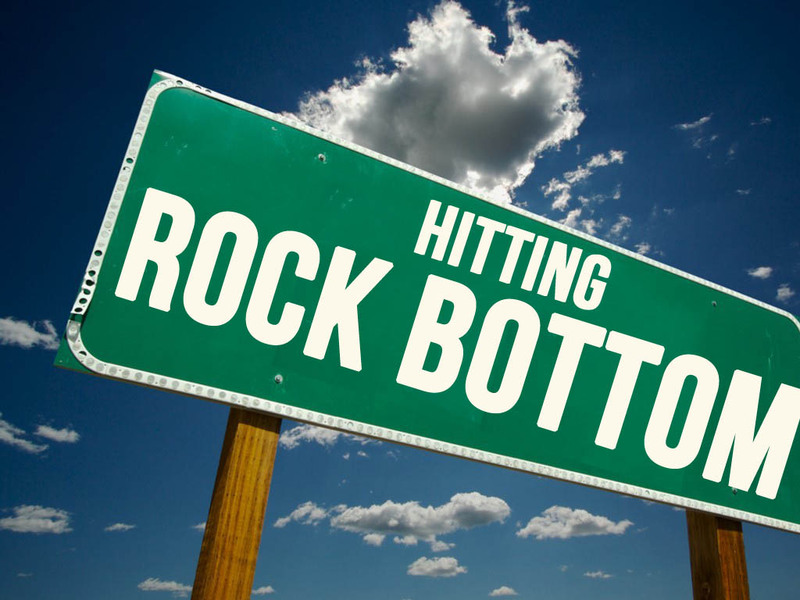 If you’re like Lost Son #1 and you feel like you’re living your life apart from God… WHY WAIT until you hit rock bottom. Friends … if there’s any way at all right now, maybe it’s just a part of your life, you can identify with Lost Son #1… I want you to hear that wonderful invitation from God to come back now, to see his gracious character as he rejoices about you saying, “I don’t want control of this area anymore. I want to give it over to you”. I had someone call me. I wouldn’t share this if it was in the church …it was it someone from my past, a brother in Christ from many, many years ago who called me a while back and said, “You know Dan, my wife and I are struggling, because she’s found out that I’ve been looking at some things on the internet that I should not be looking at. And I would like to ask you to be my accountability partner. And if I sign up for this program you’ll get a copy of that every month. Would you be willing to be that person who look at it and hold me accountable for what I look at on the Internet? And course I said “yes”. And we were able to have that mature conversation. And I just commend this brother in Christ so much because they weren’t Lost Son #1 to the max. But they had an area of their life, that was. And they decided ‘let’s not keep control of this area. Let’s give it back over to God and let him manage this part of my life. Two weeks ago here at Kirkmont we talked about this tension between religion and the Gospel… and we said religion is basically a mindset that says we want to be good enough in order to earn our way into God’s presence. But the Gospel is Good News… it’s trusting in the fact that although we’re not good enough, God has done all of the work through His Son Jesus Christ on the Cross for us to get in to heaven. And when we looked at these two sons in light of religion in the Gospel, it was easier, I don’t know about you, but it was much easier for me to see the older son as being one who was religious and not the younger son. But now here as we talk about the concept of taking control of your life and getting lost in doing so, it’s much easier to see how the younger son has taken control and gotten lost than it is to see how the older son has taken control and gotten lost. But I think it’s important to see that the older son has taken control of his life as well and has gotten lost in the process of doing so. Because quite frankly some of you here can’t relate to Lost Son #1 at all but perhaps …you’ll be able to relate then to Lost Son #2. This son comes along and he takes control in it in a very different way. He decides not to take control by saying I’m going to have nothing to do with you God. But he’s going to take control of his life by obeying all of God’s laws to the very best of his ability. Now you might be saying. “Pastor, I mean, how could that be a bad thing? …isn’t that what we’re supposed to do? How could it possibly be a bad thing to try to obey God’s laws to the very best of your ability? Well here’s the thing. It could have been good, but it becomes a bad thing when we begin to say to ourselves. I’ve been good… God must treat me well. And these types of people are shocked, quite frankly, when something bad happens to them. They exclaim, “How could God allow bad things to happen to a good person? I’ve been good; I’ve obeyed all of your laws, I’ve served you all the time and when something bad happens, it just doesn’t seem fair… I thought I had managed how you were going to treat me… I thought I had taken control of my future by making sure that I was good enough and ensuring that you would bless me. How could you allow something bad like this to happen to me I’m a good person. “What shall we conclude then? Do we have any advantage? This is the Apostle Paul speaking to the church in Rome. God gave us the law, not only because it was for our own good, but he also gave us the law knowing that we_would_not_be_perfect. So you see… when the brother says in verse twenty nine, when he says, “All these years I’ve been slaving for you and never disobeyed your orders”. Is he right? 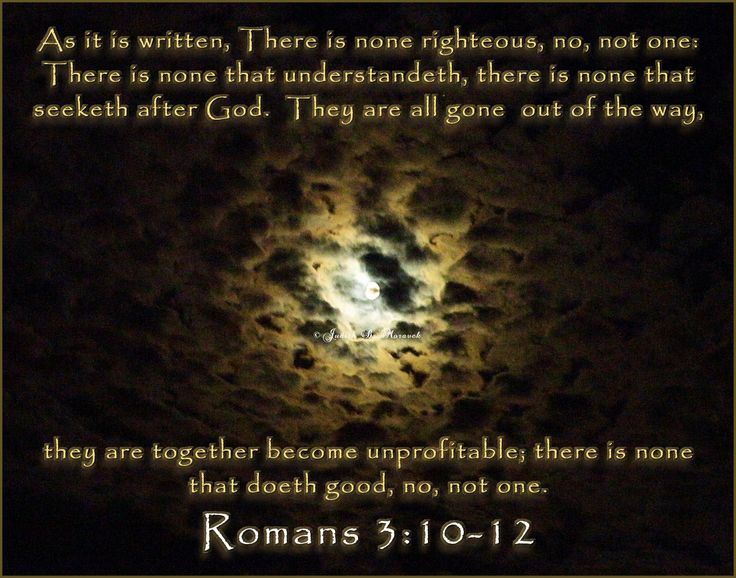 What does Romans three say about that statement. Is he right? Is that a true statement? Is that a possible reality for anyone? The truth matters. It’s a lie. That’s not true. No matter how hard we try to control our lives and obey all of God’s laws, there is no one righteous who has completely lived their life the way that God has called them to. So the older brother the hidden LIE in this passage is that the older brother exclaims that he’s never disobeyed God. He really has. He’s a fall in broken sinner and he thought he could control his destiny by obeying the law perfectly. And that’s not true at all. And then in versus thirty-one through thirty-two the Scripture tells this… maybe you can’t identify the first Lost Son… but perhaps you can identify with Lost Son #2. You’ve grown up or at least have become very comfortable with the church culture… very familiar with God’s laws and have been trying to live according to them for many years in your life. But perhaps as you hear about what our motivation is for obeying them… you’re convicted of the reality that maybe you’ve been obeying them, maybe you’ve been righteous for the wrong reasons. 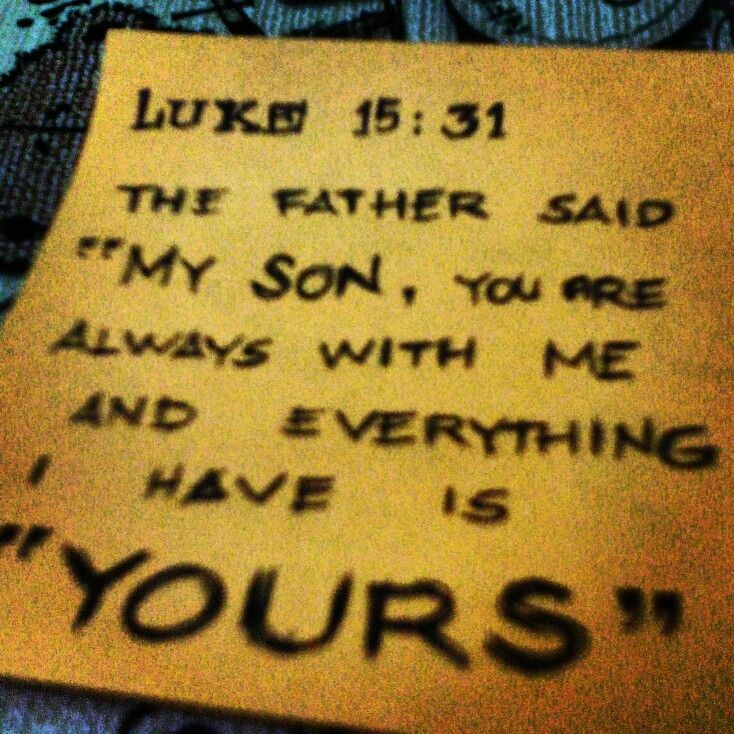 “‘My son,’ the father said, ‘you are always with me, and everything I have is yours. And as some of you who are going through the Small Group Study know… how does the passage end? How does the son respond? We don’t know do we… it’s a cliffhanger as as the author says. We have no idea. Jesus just ends it. And I think one of the reasons he ends it is because there’s a choice for you and I. You see when we try to take our life and our own hands and are righteous for all the wrong reasons, we nullify Grace. The Cross is all about Grace; and grace by its definition is earned, or unmerited favor. So this Lost Son #2, he’s in such a dangerous place because he’s living his life as if he doesn’t need the Cross. As if he doesn’t need Grace. We’re supposed to transfer our trust. Whether we’re Lost Son #1 or Lost Son #2… to transfer our trust from ourselves to the cross of Jesus Christ. 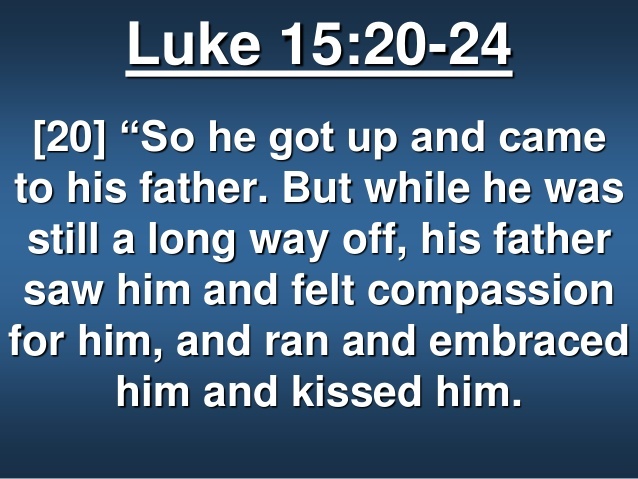 Heavenly Father we thank you for this passage this morning and continue to give you thanks for the parable of the Prodigal Son… and invite you to keep speaking to us and working in our hearts… making us more like your Son Jesus Christ; helping us to live by the Gospel. Some of us today will admit that either as an entirety for our lives, or at least for part of our lives we can really identify with one of these two lost sons. And we’re asking for your ability… for the faith that comes from you, to transfer our trust not from ourselves, but to you, to our Lord and Savior Jesus Christ… that we might really trust in Him for everything, for our standing before you. We thank you for grace, for we are in need of it; we thank you for mercy for we long for it; and we thank you for your unconditional love, because it brings us great comfort. And we ask these things now Christ’s name. Amen.